Product categories of Jacketed Glass Reactor, we are specialized manufacturers from China, Jacketed Glass Reactor, Double Jacket Glass Reactor suppliers/factory, wholesale high-quality products of Glass Jacketed Reactor R & D and manufacturing, we have the perfect after-sales service and technical support. Look forward to your cooperation! 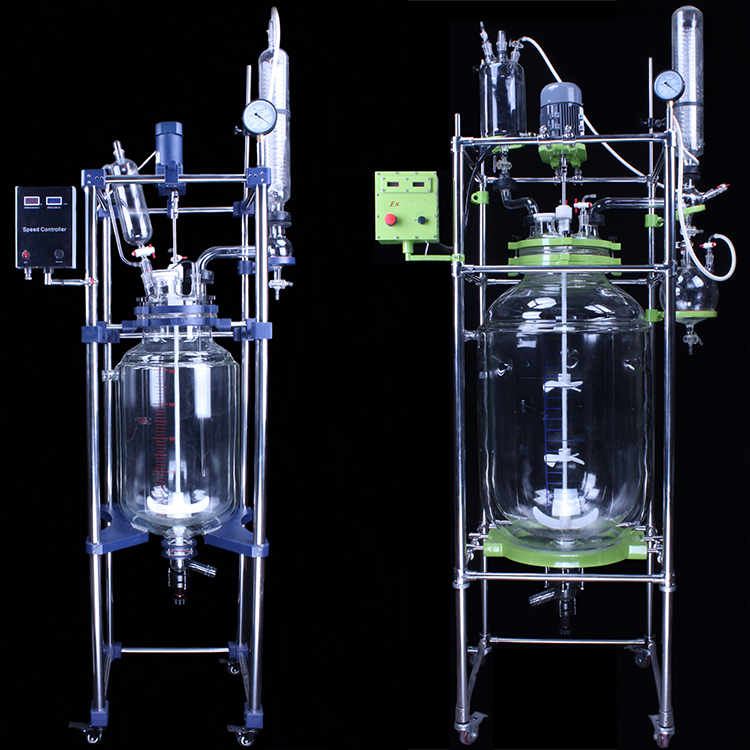 Glass Reactor is commonly used as a biochemical instrument, widely used in modern fine chemical, biological pharmaceutical, scientific research and other industries. Double Glass Reactor can be concentrated, distilled, separated and purified at constant speed, constant force and constant temperature. It is an ideal instrument for teaching, experiment, pilot, and production. A thermostat (high temperature or low temperature) hot solution or coolant is injected into a double glass reactor, which is heated or cooled at a constant temperature in the reactor and can be stirred. 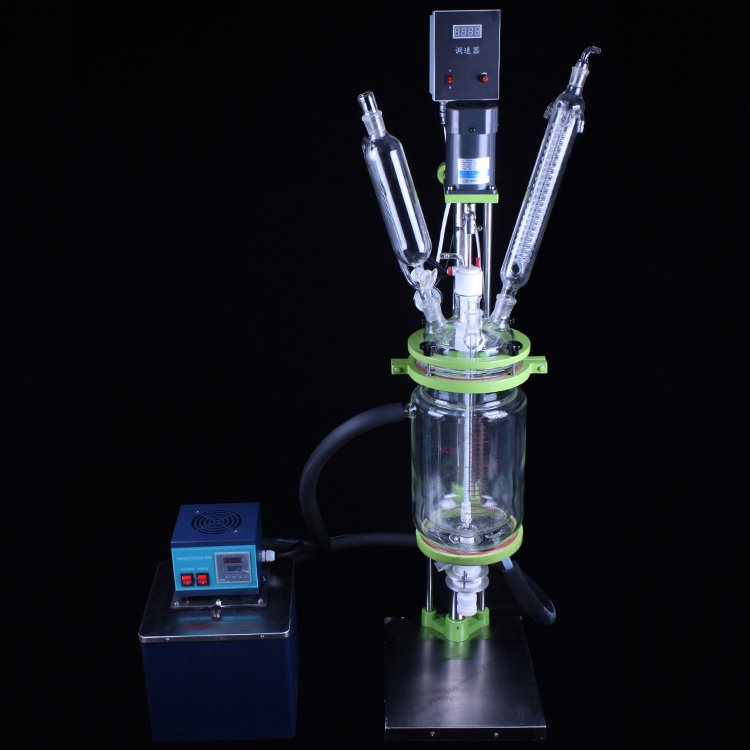 The material is reacted in the reactor and can control the evaporation and reflux of the reaction solution. When the reaction is finished, the material can be released from the outlet of the bottom of the kettle, and the operation is very convenient. The inner container replaces the reaction material, and it can also vacuum and speed stir. The interlayer can be imported into the coolant and high temperature solution to heat and cool the material. 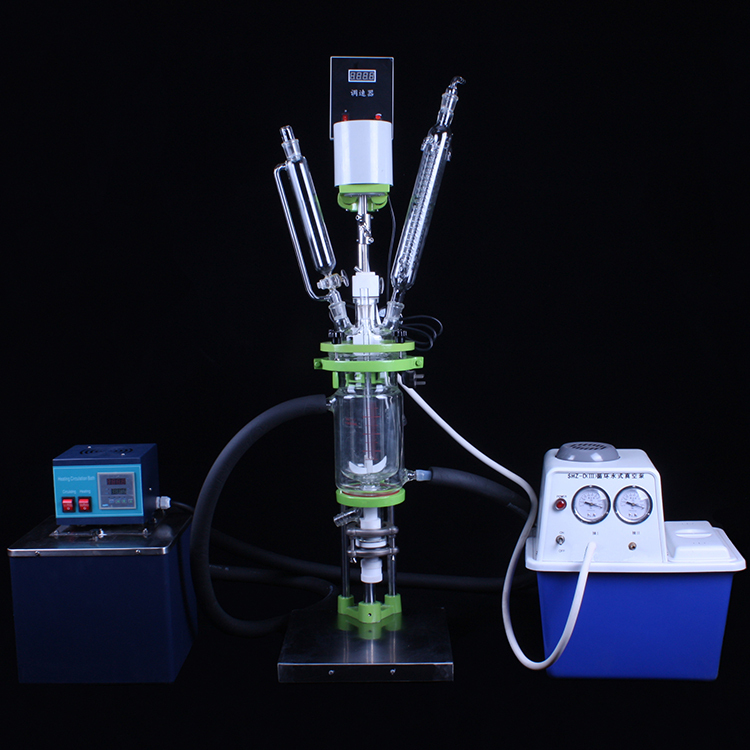 The Jacketed Glass Reactor can be composed of a complete set of systems, such as the multi use vacuum pump, the diaphragm vacuum pump, the cryogenic cycle (vacuum) pump, the chiller, the constant temperature circulator, the cryogenic coolant circulating pump and the closed refrigeration heating cycle device. Related products: Oil bath, Vacuum pump, Chiller, etc.